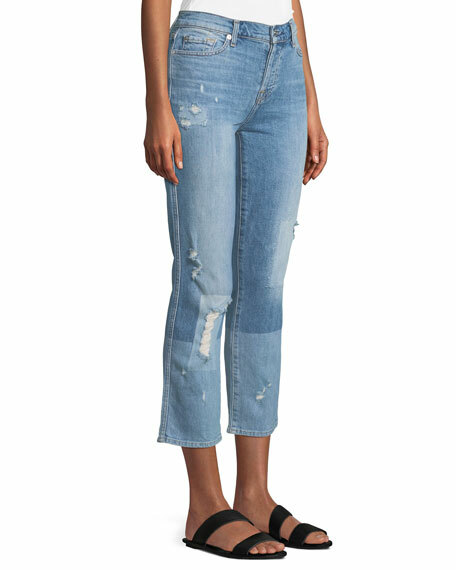 7 For All Mankind "Kimmie" jeans in stretch denim. Approx. measurements: 23" inseam; 33" outseam. 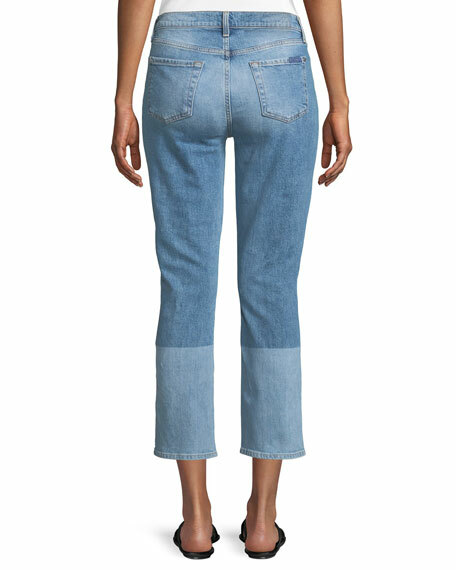 Five-pocket style; 7 For All Mankind signature squiggle stitching on back. Regular rise. Slim fit; straight legs. Full-length. Button/zip front; belt loops. Cotton/lyocell/polyester/rayon/spandex. Imported. 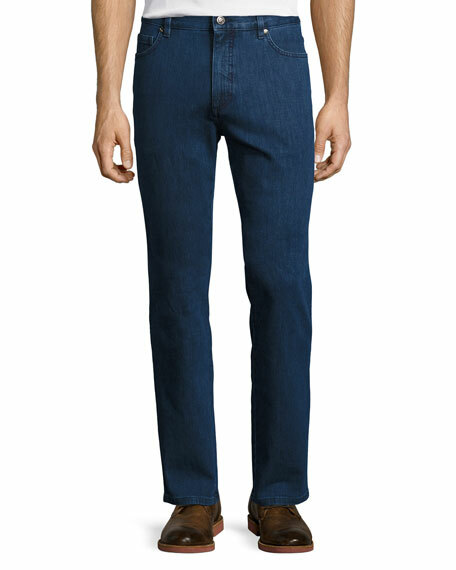 Ermenegildo Zegna jeans in deep indigo stretch denim. Five-pocket style. Leather logo patch at back waist. Regular rise. Slim fit; straight leg. Button/zip front; belt loops. Cotton/spandex. Imported. 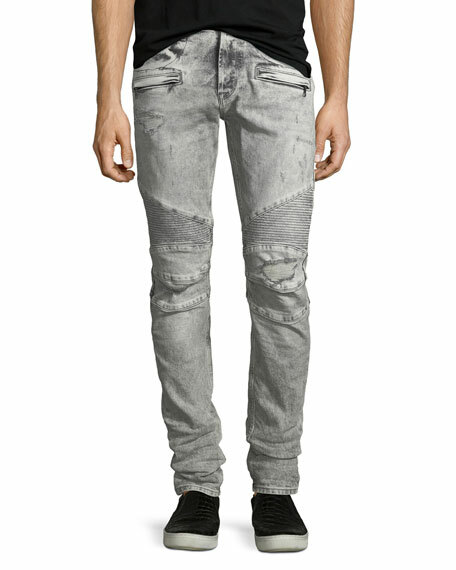 Hudson Jeans "Blinder Biker" moto jeans with distressing. Five-pocket style; additional front zip pockets. Regular rise. 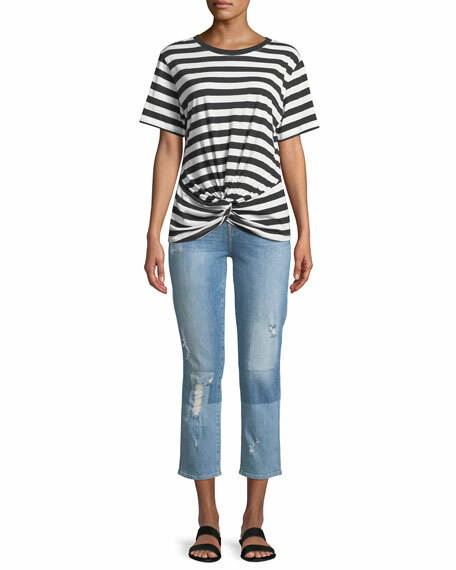 Moto-style rib and seam details. Slim-fit; straight legs. Button/zip fly; belt loops. Cotton/polyurethane. Imported. 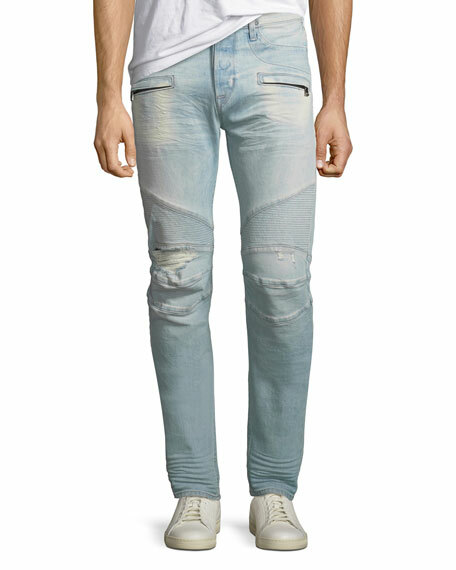 Hudson "Blinder Biker" jeans in distressed stretch-denim. Approx. 36" inseam. 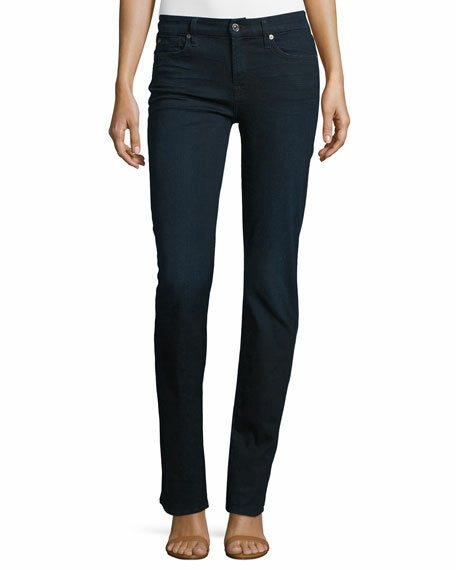 Five-pocket style; additional front zip pockets. Leather logo patch at back waist with channel stitching. Ribbed moto paneling at knees. 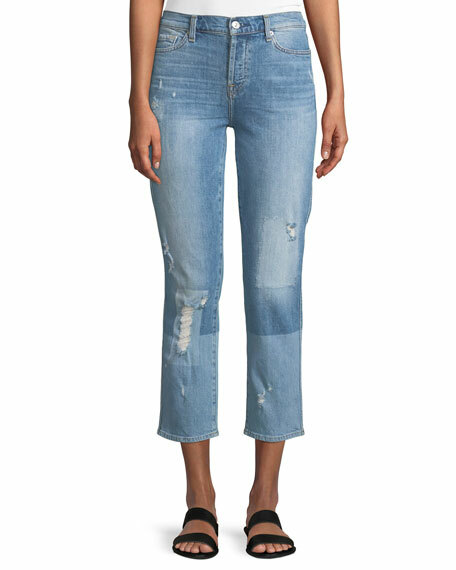 Relaxed straight-leg fit. Button fly; belt loops. Cotton/spandex. Imported.